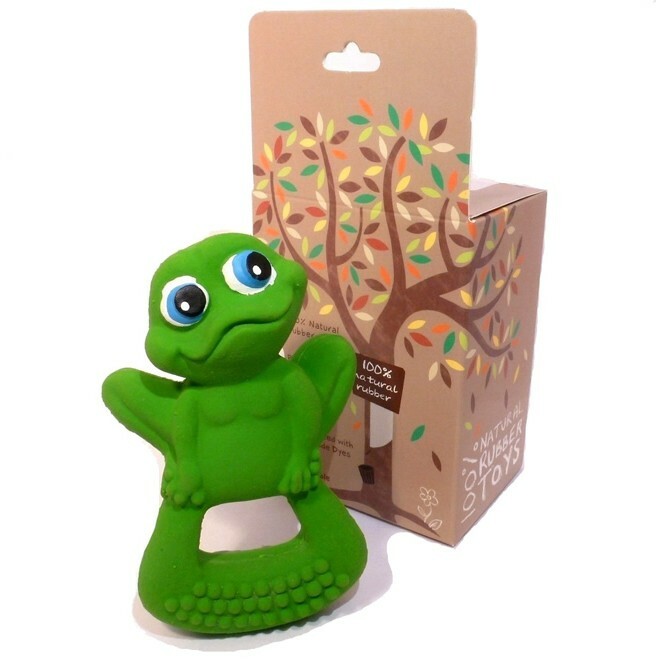 A lovely teething toy made from natural rubber from the Hevea tree and hand painted with non toxic food grade paints. 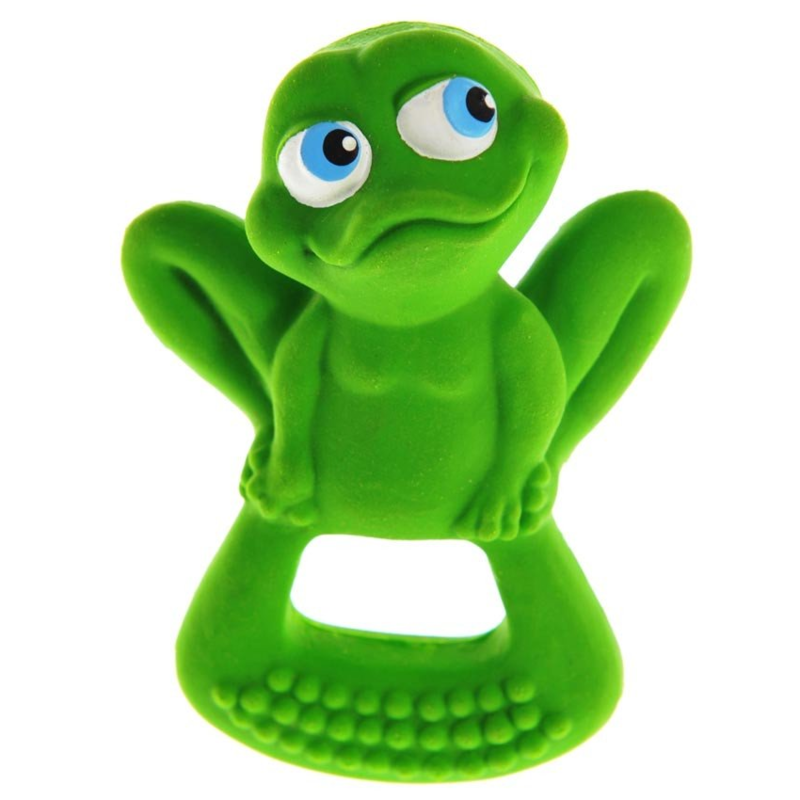 A lovely bright green colour with big bright froggy eyes and just the right size for small hands to grasp hold of. The frog is squdgy and soft, the handle has nobbles on and is a bit tougher making it perfect for chewing on. Great for stimulating senses, entertaining baby and soothing sore gums.